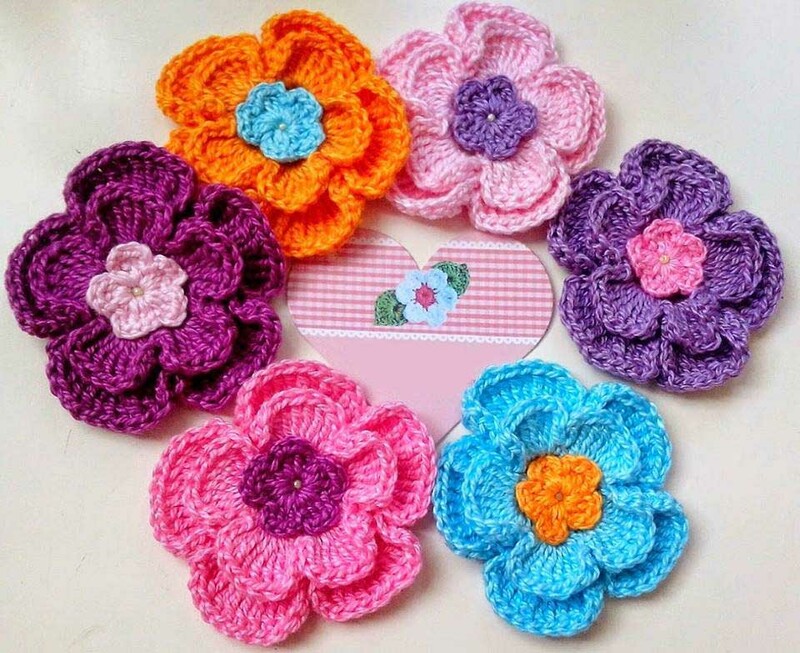 Hello friends crocheters today I will share with you the pattern of these super cute crochet flowers. 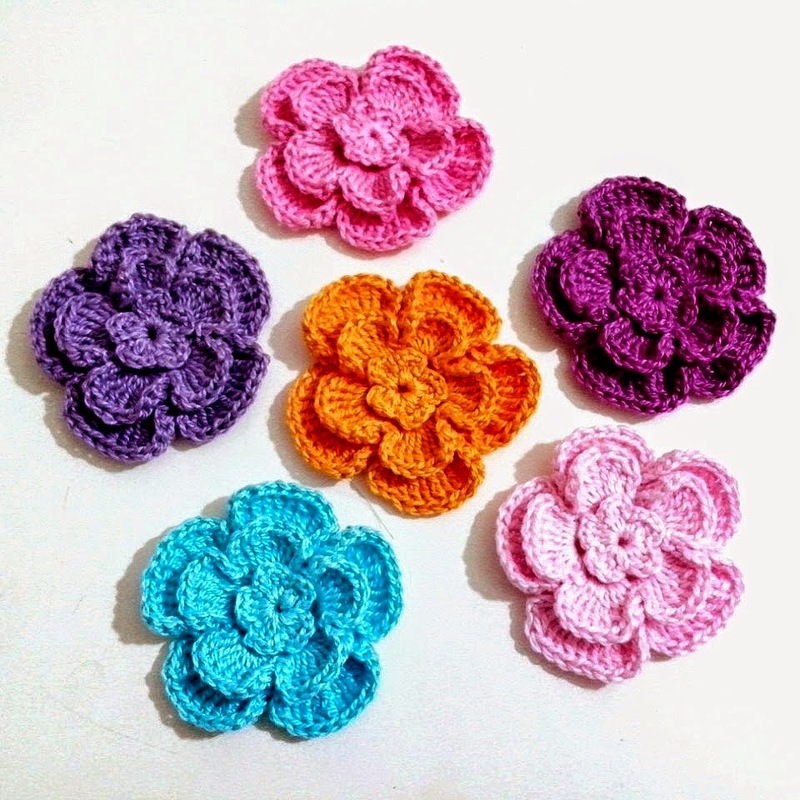 put on scarves, cushion or any other piece of crochet you want. 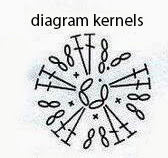 Below you will find the graphics (not the written standard, but those flowers are easy). 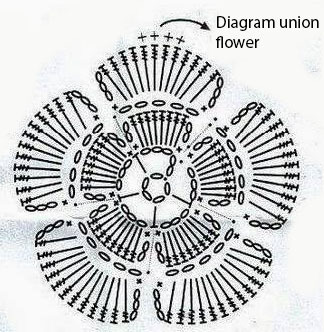 -Work 6 flowers with each color, farm union of reasons according to the diagram. -Work 6 brains with each color and sew in the center of the flowers.